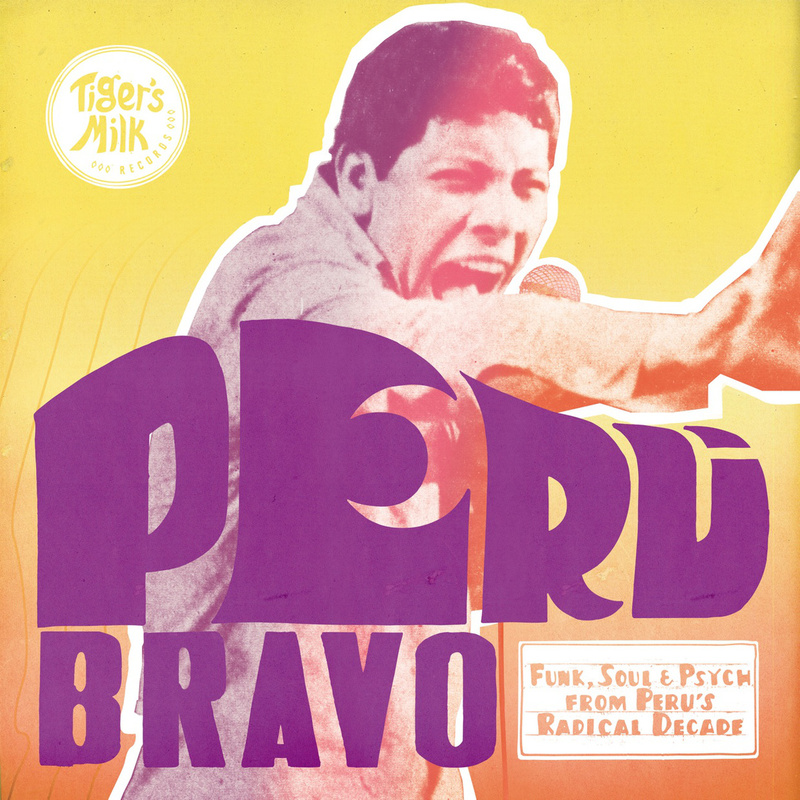 The second release from Tiger’s Milk, a London micro-label run by Peruvian restauranteur Martin Morales and ex-Soundway manager Duncan Ballantyne, focuses on Peru’s urban rock scene during the psychedelic era. This isn’t a chicha compilation, although it does include a great trippy track (12) by Los Destellos, a Lima band who made liberal use of cumbia and Andean sounds throughout their career. Rather, these are combos that followed in the wake of Los Saicos, arguably the world’s first punk rock band, who opened the floodgates for youth music in Peru in 1965. Of course that meant Northern influence, and the tracks here reflect some of the key trends in American and British pop during the years 1968 to 1974, when all of these recordings were made. Track 1 cops the famous riff from Shocking Blue’s “Venus”; it’s garage rock (with a little Santana flavor) at its finest. 7 and 8 blend funk and rock – you’ll hear the influence of Tower Of Power, Chicago, Curtis Mayfield and The Meters. And if you like a good inexplicable cover try 11, a conga-driven version of “Hey Joe” en Espanol. Tiger’s Milk is now two-for-two – keep up the good work.